The fifth discussion post for the Outlander Reading Challenge is up! As noted, I will be posting monthly meme’s/discussions for both reading challenges I am hosting, Outlander and Game of Thrones.These are meant purely for fun and by no means required to participate in the challenges. I will post five questions for you all to mull over and I will answer one of the questions myself to start off the discussion. 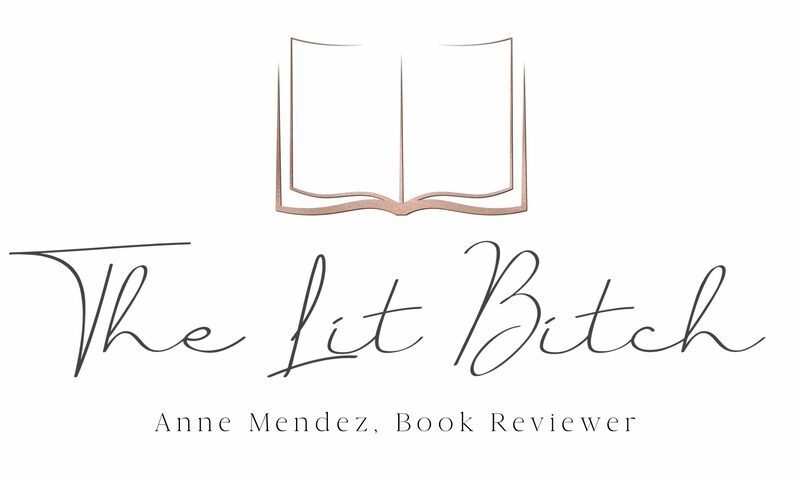 I also invite you to post your favorite quote or passage from the book as well. Jenny writes to Jamie about catching his ‘ex-wife’ Laoghaire with a man and says that’s what prompted her to finally write to him. Do you think there was really a man or did Jenny make up the story to give her an excuse to forgive him? Do you think Frank’s intent was to save Claire from making a choice to leave him and Bree? Ian and Jamie can’t hear the stones. Do you think Ian would go to the future if he could? Do you think Bree would have shot Bonnet if he hadn’t been threatening Jemmy? Do you think she got any satisfaction out of it? How did you feel about Claire wearing both rings? Did you feel it was a betrayal to one or both of her husbands if she would have kept one ring over the other? What do you think Jamie’s feelings are about both rings? Question #5: When Claire lost her gold ring to Stephen Bonnet in book #4, I felt like she had said goodbye to Frank but when she got it back I felt like it brought back Frank’s ghost and in some ways she would never fully be Jamie’s. To me the ring is a constant reminder of her previous life and to Frank. With the constant reminder I think it’s hard to fully let go and move on from the past. FC is a much darker novel then the other books in the series. It’s aa book about self reflection and reconsiling the past and with Clarie wearing both rings I felt like she has not entirely come to terms with her choices and how they have shaped her life and the lives of those around her. I thought Claire’s reflection of her life with Jamie—the moment by the river where Claire likens Jamie to a sponge—spoke volumes and really paved the foundation for the entire book. I liked how she realized that their life together was a whirlwind but that she wouldn’t trade it for the world but at the same time I did sense a bit of sadness and regret in her reflection. I don’t necessarily think that it’s a betrayal to either husband but I think it’s strange that Claire would continue wearing both rings. If I were Jamie, I would be bother by her wearing another man’s ring. She is his wife now, not Frank’s. I know I would never continuie wearing my first husband’s ring if I were widowed and then remarried. I might keep it but I don’t know that I would continue wearing it. Why cannot the past leave us be in what peace we have made with it? Hello LB! I am new to your blog and haven’t “officially” signed up to be a part of the challenge, but would love to! 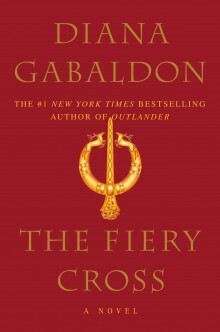 I am currently reading the series now – I am actually about 1/4 of the way through Fiery Cross now. Like everyone else, I am officially obsessed with this series. It’s consuming all my thoughts right now! 🙂 So, here is my first shot at contributing to the discussion! I am not as bothered as some readers by Claire’s decision to wear both rings. I think in the beginning (Outlander, DIA) the ring symbolized the love she had for Frank and the guilt she felt in leaving him for Jamie. Jamie is Claire’s “soul mate,” to be cliche, but Claire still loved Frank deeply and never really lost the guilt of leaving him – even after she returned. When she goes back to Jamie 20 years later, I saw the ring as having become, not just a symbol of her life with Frank but also Brianna. Frank, for all his faults, still cared deeply for Brianna and was an amazing father to her. I think the ring morphed from a symbol of the early guilt Claire felt in leaving him into respect for him as a father and partner. So, I believe she kept wearing the ring as a sign of the love and respect she has for not just Frank, but Brianna and the family life she shared with them for that 20 years. Ultimately, I think that is why Claire continues to wear the ring – I think if she were able to ever have firm closure over her actions and with Frank, then maybe she could leave the ring behind. Jamie loves Claire with all his heart and I believe that he respects her guilt and regrets over her relationship with Frank. Jamie also respects Frank for taking care of Brianna – for all his sadness that he missed those years with her, he can’t deny Frank was an amazing father. I think he is secure enough to know what that what is behind the gold ring is part of why their relationship is so strong. For all the ties that bind he and Claire – her situation with Frank, her life with Brianna, etc. – all of that contributed to the place Jamie and Claire have finally made it to. Anyway, those are my thoughts! As I get to the other parts of the book, I”ll take a stab at contributing to those questions!